Please see the message below from Ben Wiles regarding April's training day at RBH - This looks like a good opportunity for some problem based learning, in what I'm sure will be a fairly relaxed environment. 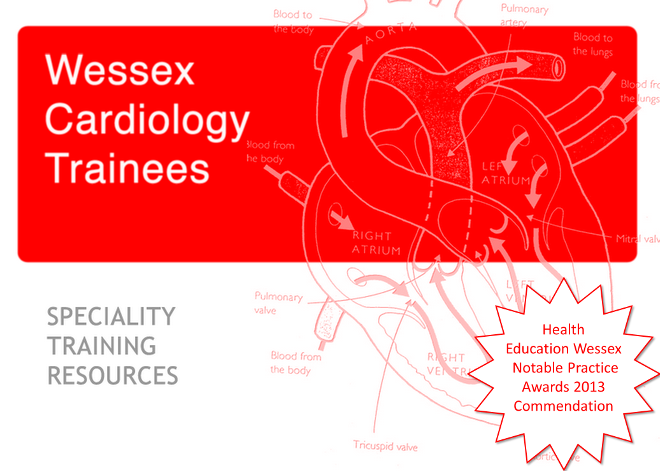 Our April training day will be held at Bournemouth Hospital on April 22nd and the topic will be Electrophysiology. For one session in the day Dr John Paisey would like some willing volunteers to briefly present some cases of dysrhythmia. The case presentations would need to be no more than 5 minutes in length and should include a short history of the problem and the necessary ECGs. The cases shouldn't be overly complex, just interesting or challenging cases of dysrhythmia you have come across in your training. He is not after super specialised stuff from the EP lab, just cases where it wasn't clear what to do, or what the diagnosis was, or cases you think your colleagues could learn from. The audience of course will be your fellow cardiology registrars and we will use the cases as topics for further discussion. If you are interested in being a volunteer please contact me by e-mail. I will then collate the cases and provide further instructions. I look forward to hearing from some of you.